Johnston, J. L., Berry, R. J.
Berry, R. J. ; Johnston, J. L.
9. 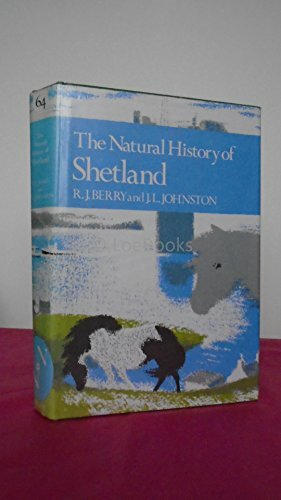 THE NATURAL HISTORY OF SHETLAND. By R.J. Berry and J.L. Johnston. New Naturalist No. 64. Berry (R.J.) and Johnston (J.L.). Published by Collins. New Naturalist Series. Berry, R.J. & Johnston, J.L.